I get really bored of lunch food and was itching to try something a little different to munch on during the lunch hour. 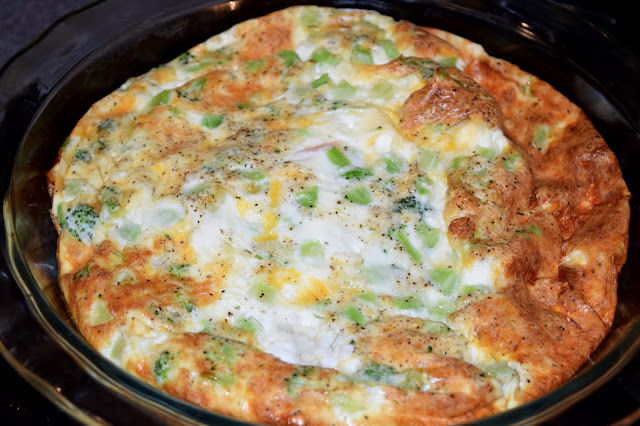 When I saw this recipe for a skinny, crustless quiche, I knew I wanted to try it. 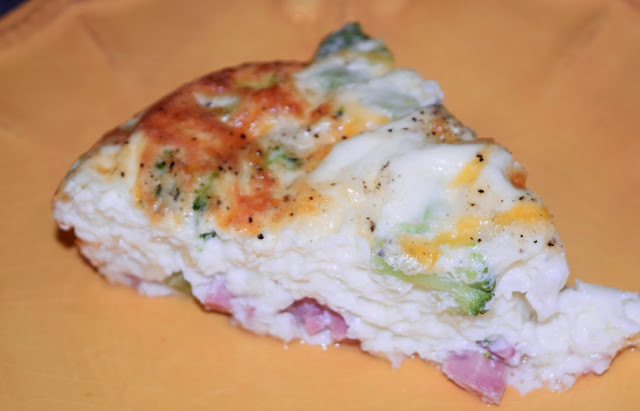 Quiche is delicious but often not the healthiest option, so I loved that this version was so low in calories and so high in protein! I ate this 5 days in a row and loved it. Of course it would make an amazing breakfast as well! Instructions: 1. Preheat oven to 375 degrees and spray a pie plate with cooking spray. 2. Mix all ingredients together in a large bowl. 3. Pour mixture into your greased pie plate and bake for 45 minutes or until the center is set.